This is my rental car in Iceland, looking great isn’t she?! Well, this is not actually the car I booked online but when I arrived, the rental company (Cars Iceland) told me they upgraded my car from a 2014 Toyota RAV4 Diesel (the car I booked) to a brand new 2015 Mercedes GLK 220 CDI 4-Matic Diesel. At first I was like, “Really? Why? Any additional Charge?”, they said no, same cost, same everything, it also comes with a free GPS, so why the heck not. I was not convinced until I returned the car and yeah, they really didn’t charged me anything extra; no hidden fee whatsoever. If you are going to Iceland, I highly recommend them, you can check their website here. They have the best prices as well; all their cars comes with unlimited mileage, all insurance are included and most of the 4×4 comes with free GPS, at least it was like that when I rented (June 2015). They are also located very close to the Keflavic Airport, just a 5-minute walk. 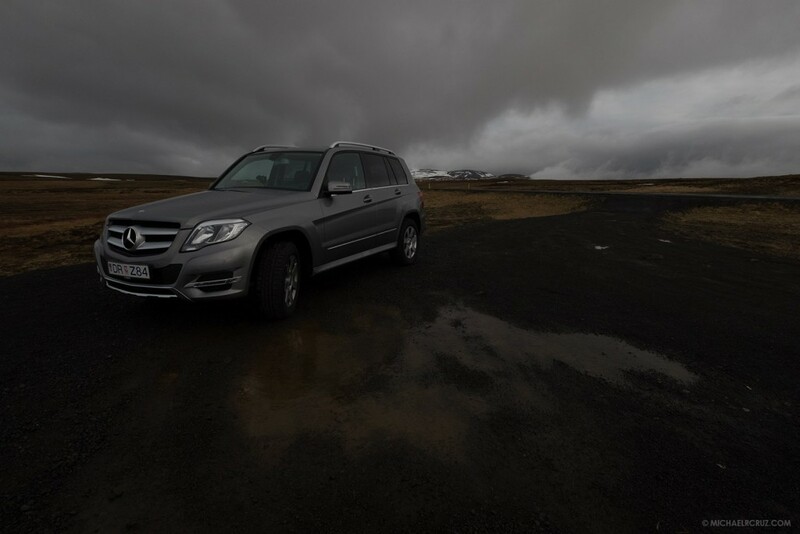 I did a lot of research regarding car rentals in Iceland, I was first thinking of getting a cheaper car from Sad Cars Rentals (I have seen them being recommended by a lot of travelers in Iceland) but after doing some forum research, I learned that having an unreliable car in Iceland is probably one of the worst thing you can do there, so I’m glad I did go with a newer car. There’s not a lot of people driving around Iceland and most of the time, I was the only one on the road, so being stranded is definitely going to be a nightmare. I needed a 4×4 because I was planning on going to Highlands (gravel road) areas that a sedan car might not be enough and I had a lot of bags and other gears to bring with me. As a mentioned on my previous post, knowing what I know now, I would have rented a small camper van so I could camp out on the locations I wanted to photograph. 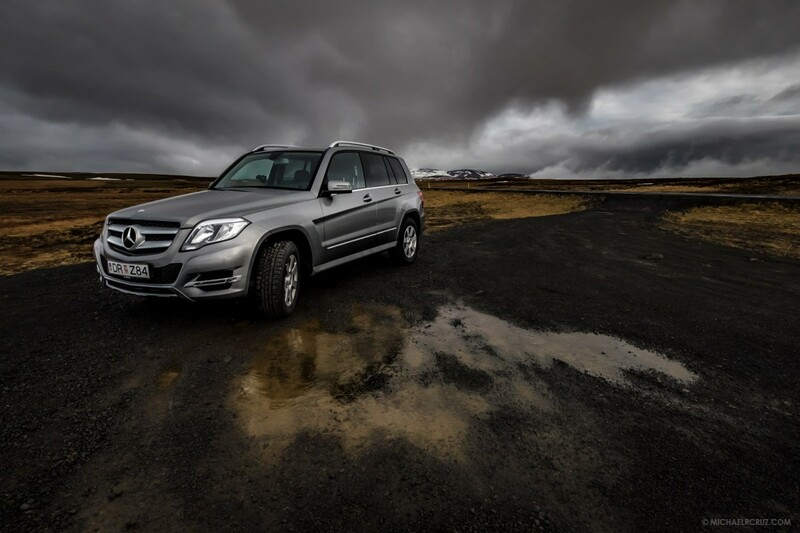 But if you are going to be in Iceland for 5 days or so, or just going around the Golden Circle, I think a normal sedan or a small 4×4 is more than enough. By the way, not all 4×4 are allowed to go to Highlands or gravel road, so please check with your rental company first. No lighting equipment used, just natural light.